I am a serious salad dressing snob. I can’t recall when it all started… I used to be completely fine with the bottled kind, but one day that all changed. I’m pretty sure it was the ranch that started coming home from our little ol’ pizza joint when I was a kid. We lived in a small town that had a whopping two options for eating out. Pizza won the vote almost every time. 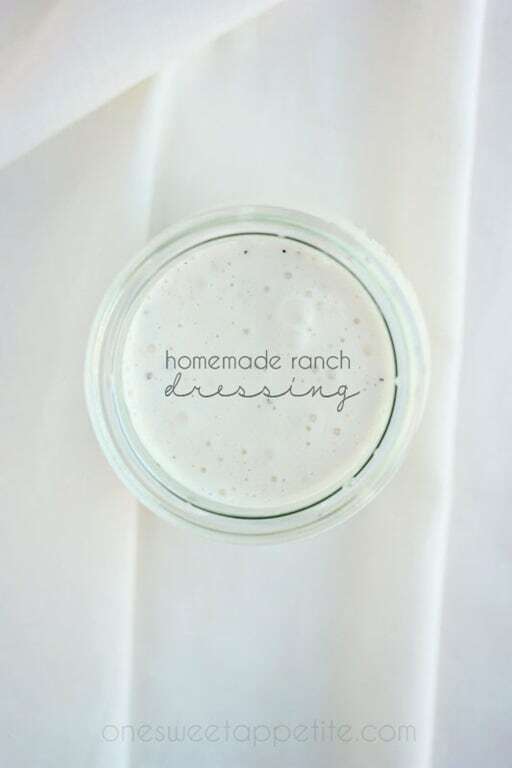 Both of my sisters would kindly remind my mom to order extra dip because ‘Betty’s’ had the most amazing homemade ranch dressing that put the store bought version to shame. I’m sure it was just the powdered mix that you can find in almost every grocery store now, but at the time it was a real treat. If we had any left over the next day we would pack a salad in our school lunch and load it up with veggies. Don’t they always taste better when they’ve got a good ranch to accompany them? I finally decided that I need to find a good version of the recipe to keep as a staple in our home and this one is it! Creamy, full of flavor, and incredibly easy to whip up. 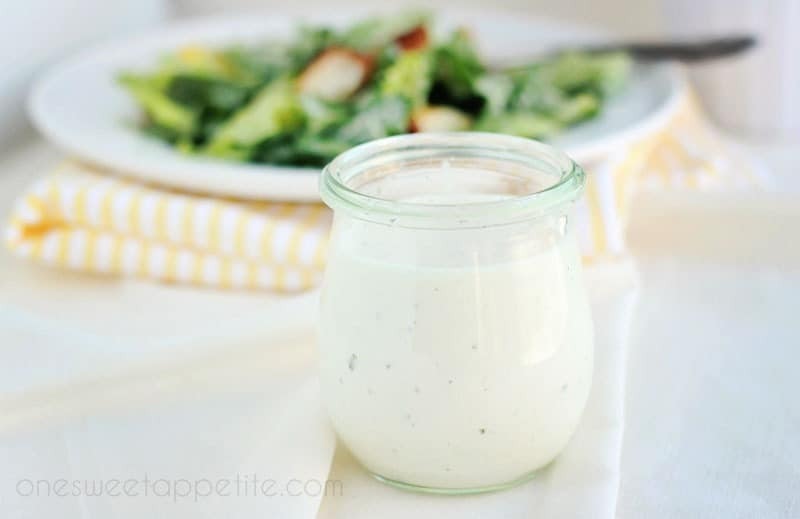 If eating a cup of mayonnaise doesn’t appeal to you try substituting it and the sour cream with plain Greek yogurt. It doesn’t change the flavor too much and keeps with the right consistency. I actually swap in Greek yogurt in a lot of my recipes because it’s what I typically have on hand. Add all ingredients to a blender. Puree until combined and smooth. Refrigerate at least one hour to thicken.